This book is the guide I wish I had when I became a single mother then an unemployed single mother. I've been where you are and I want to make your journey to a happy, successful life easier by showing you the way. Let's get started today. Yes send it to me now! Learn the skill that gives you the foundation you need for a happy, positive life. This the guide you need to build a happy positive life. I've been where you are and I want to make it easier for you by showing you the way. Simple action steps to implement at the end of every chapter. You will learn the one thing you need to build a foundation to have a great life. If you are in the beginning stages I will give you a quick guide to survive the first month. Once you've made it through those painful early days I will walk you through a plan to manage your money, rebuild your support system, give you tips for creating a workable co-parenting relationship and create a routine to get the important things done as a single mom. Once you have the basics of day to day life figured out I will show you how to get in touch with your dreams again. 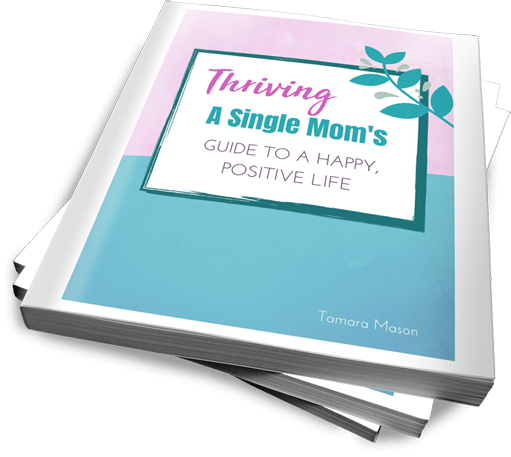 I am so excited for you to get your own guide to have a happy, positive life as a single mom and do away with being overwhelmed thinking you can't build a great life for yourself. Yes! Send Me My Book Now!